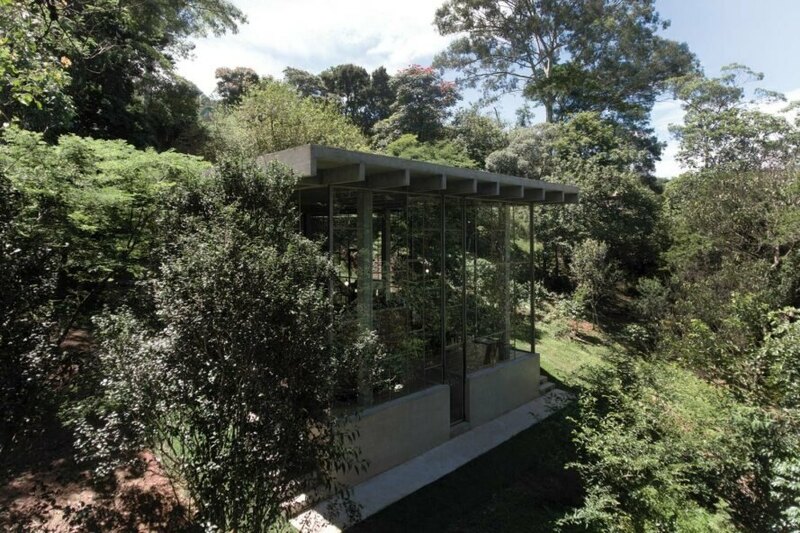 The architects at Atelier Branco Arquitetura were asked to build a glass house that could accommodate the owner’s need to think, read and escape from the bustling cities of Brazil. The owner, a famous political scholar, dreamed of a structure that was neither a permanent residence nor a vacation home, but a lush and peaceful retreat. 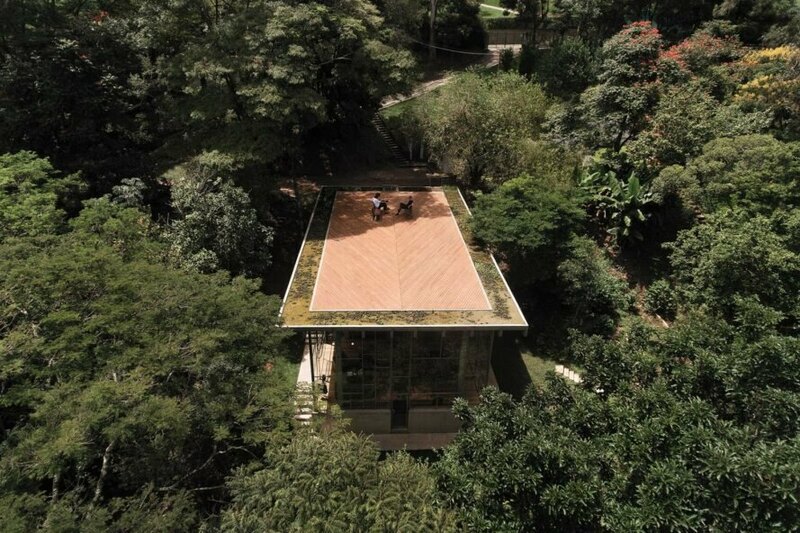 Coming from the main road, you’re first met with a vast wooden deck atop the concrete roof of the building, which gives one the sensation of floating among the dense rainforest plants that surround the property. Instead of using a parapet (a protective barrier or wall along the edge), the architects installed a water bed around the perimeter of the deck. This way, the roof is not only a sitting deck, but it is also somewhat of an island. Continuing down the stairs, you’ll find the entrance to the main structure of the house. 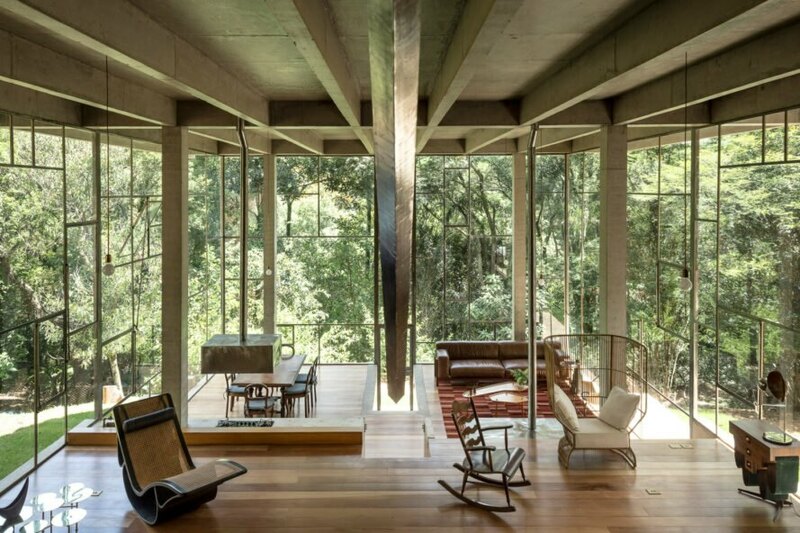 This volume was built entirely out of reinforced concrete, and the floors were made from long Garapeira wood boards. Because of the sloping and uneven terrain upon which the home is built, the architects created a descending series of steps that open into different parts of the home. 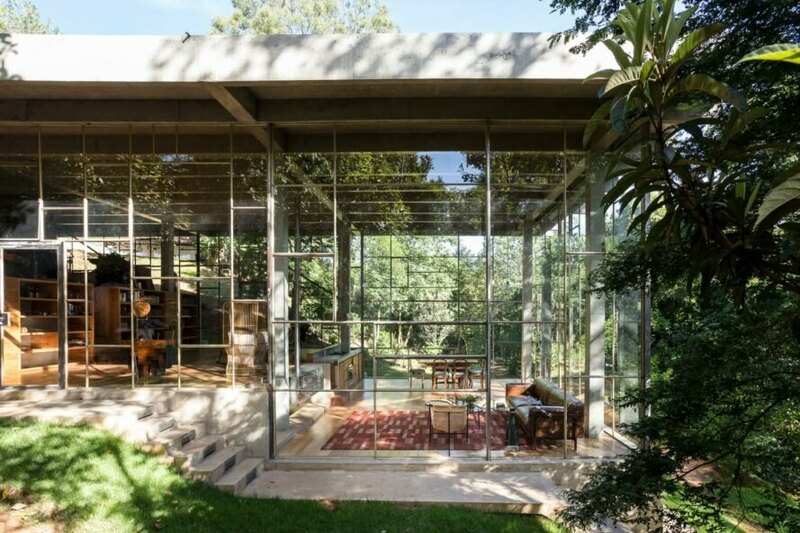 Floor-to-ceiling windows encompass the entire house, allowing for natural light to penetrate the interior and give one the sensation of being inside the jungle foliage on the other side of the glass. The house is designed so that the location of each space takes into account the lighting and level of privacy allotted. Because of this, the sleeping areas are located on the top level with the least amount of natural light, and the owner’s studio is situated in the central part of the home. The studio level has the greatest vantages for enjoying the surrounding landscape, which is why the owner chose this spot in the first place. On the bottom level is the living and dining area, the brightest and most exposed section of the house. 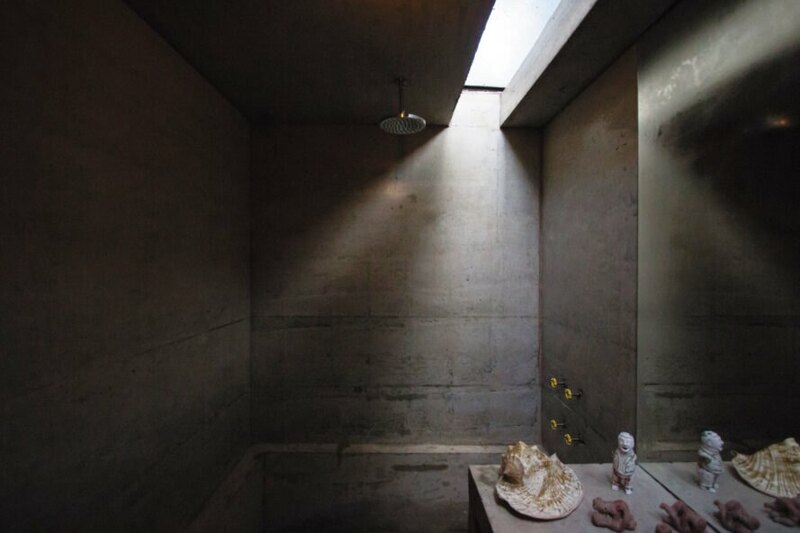 Contrarily, the two bathrooms were built with cast concrete and are lit from above only by skylights, providing very limited natural lighting, but ultimate privacy, compared to the rest of the house. 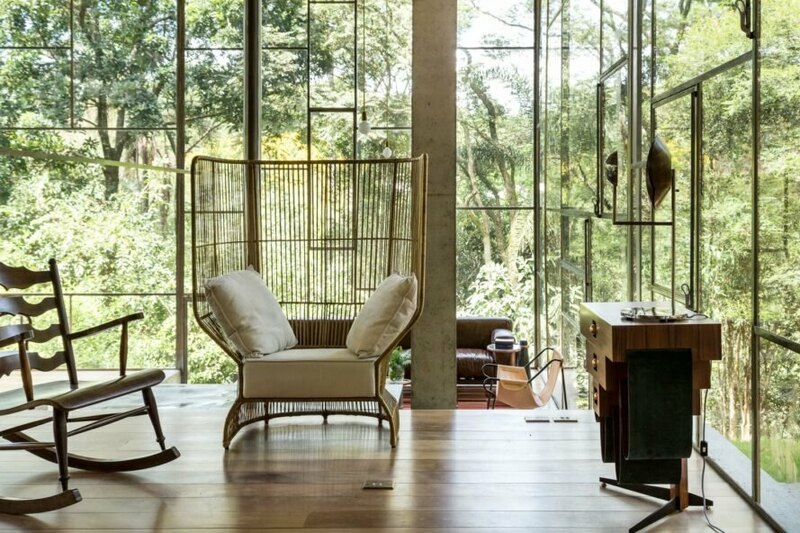 Atelier Branco Arquitetura designed this beautiful home for a scholar. The first sight of the home is the massive rooftop deck. Rather than walls that would block the views, the rooftop deck's perimeter uses water as a barrier. The home features massive walls of glass panels. 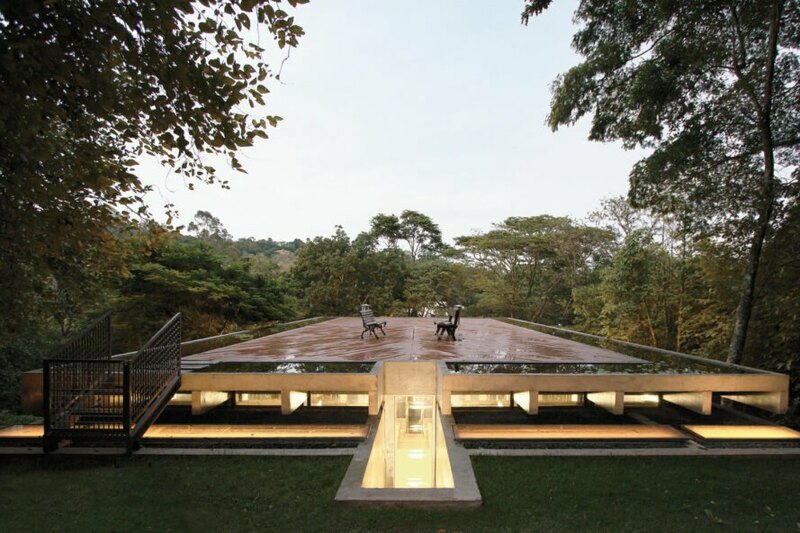 The house is embedded into the lush rainforest. Inside, the focus remains on the vibrant rainforest. Natural light is welcomed deep within the house. Because the residence is for a scholar, it offers plenty of space for books. The bathroom has a skylight to provide natural light without sacrificing privacy. 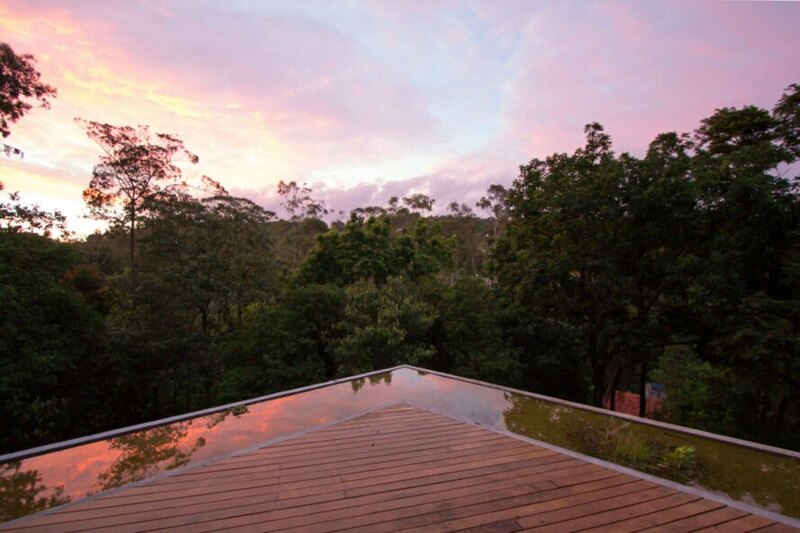 The rooftop deck is ideal for taking in the serene surroundings.